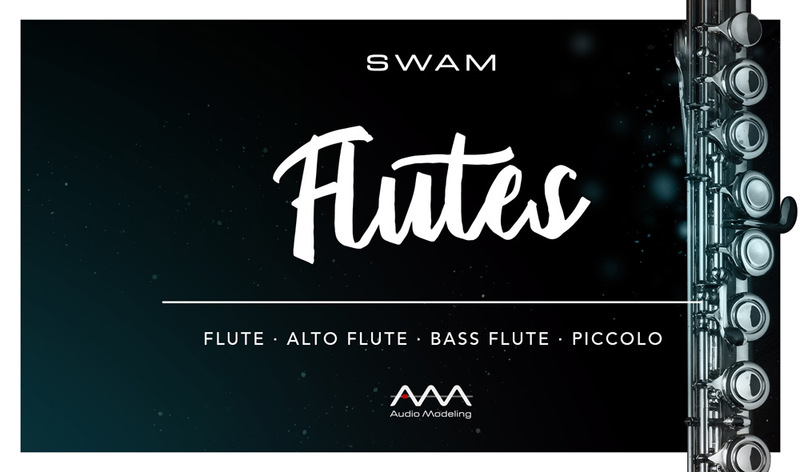 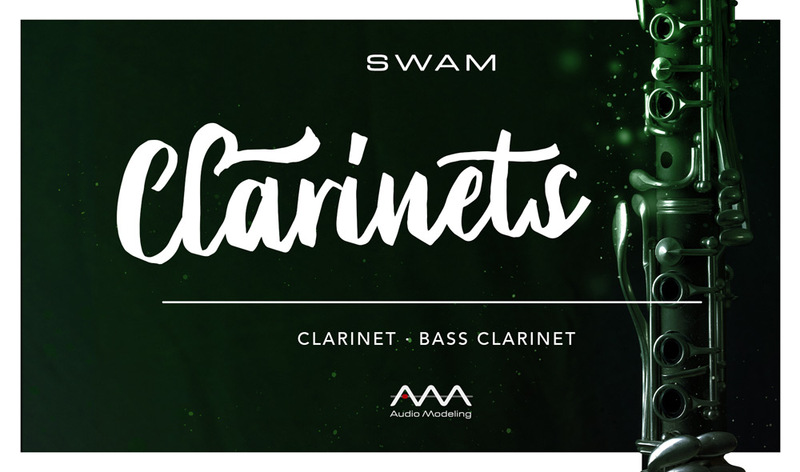 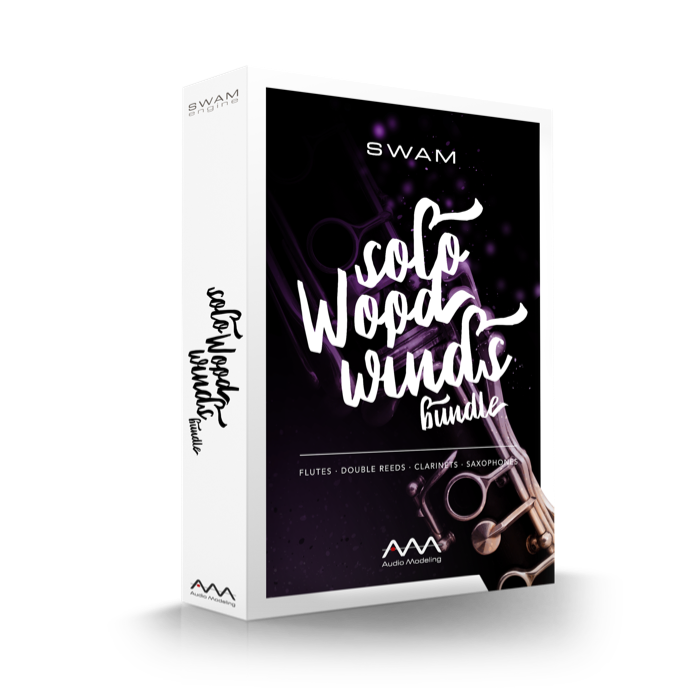 This collection is comprised of four instruments of the standard saxophone quartet: the Soprano, Alto, Tenor and Baritone Saxophones. 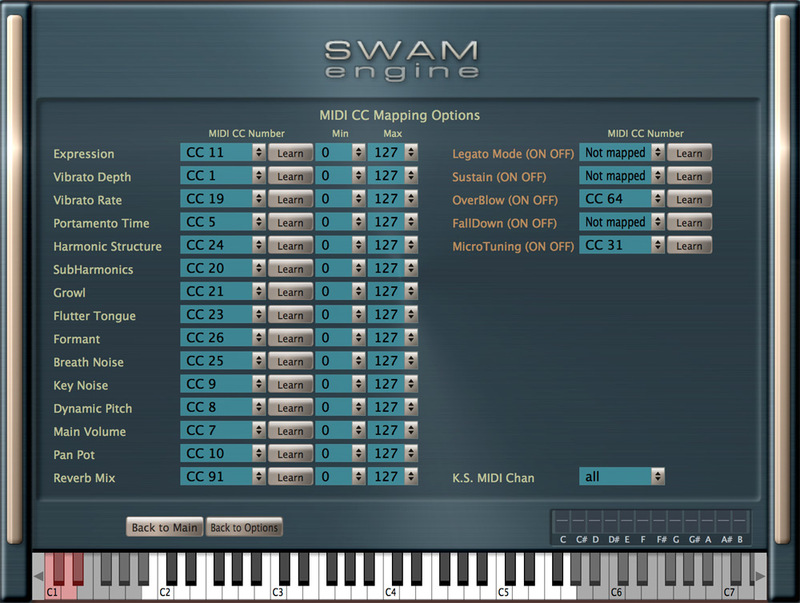 The realism and expressiveness of the SWAM instruments requires a computer with at least a 1.6 GHz Core 2 Duo CPU. 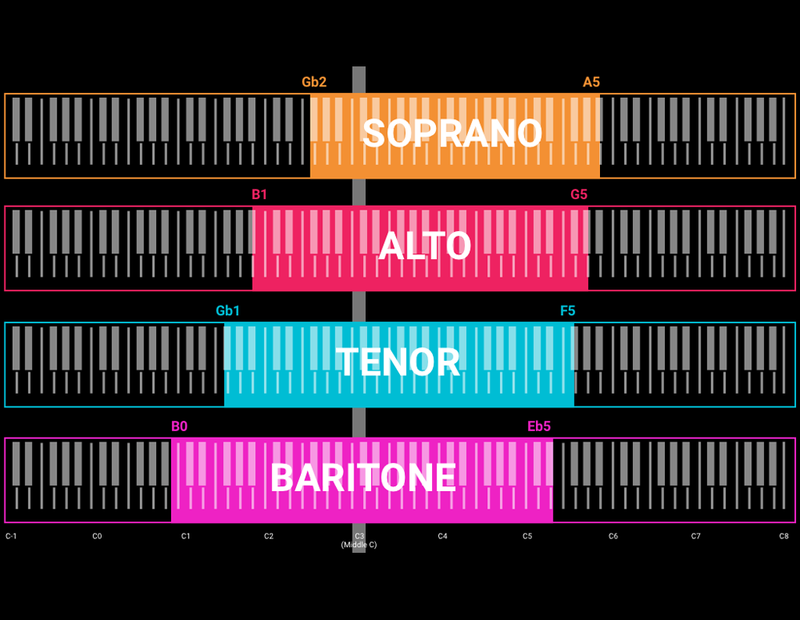 Less powerful systems may also prove satisfactory, but may require larger buffer sizes, involving higher latencies. 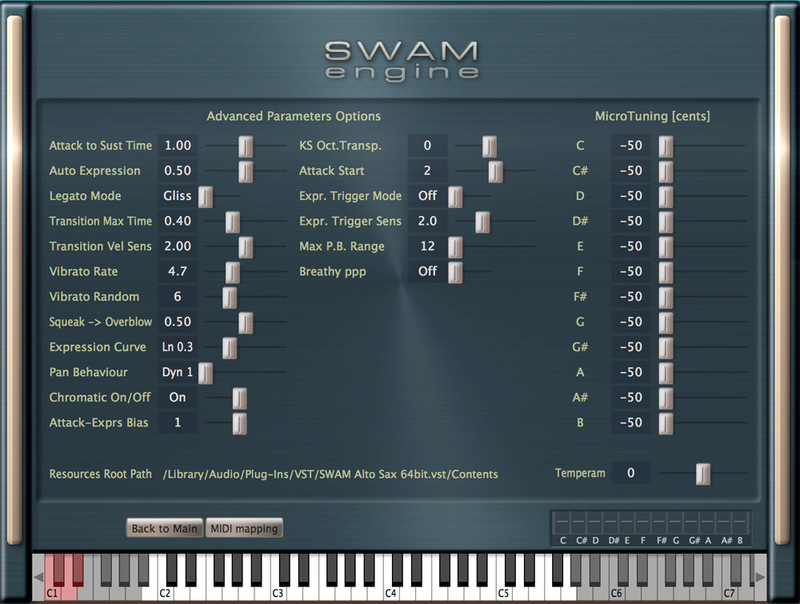 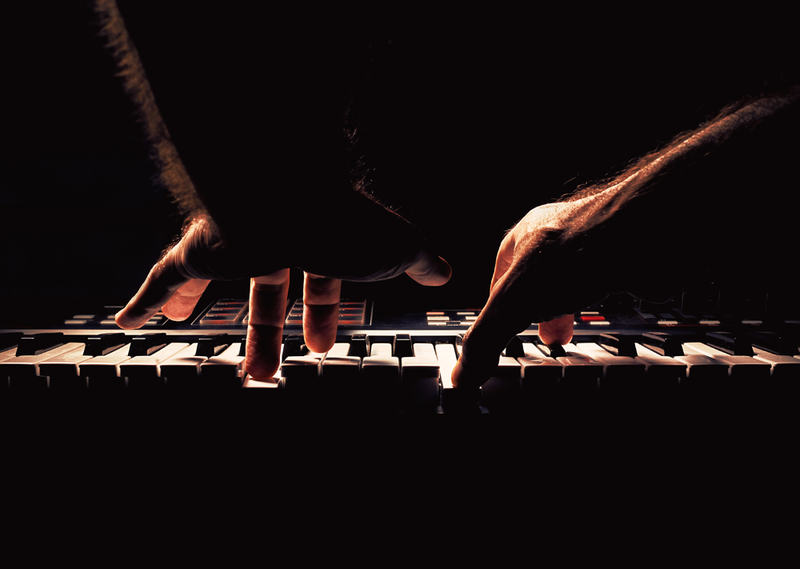 Expression (Dynamic), Note transitions (Staccato / Legato / Portamento) with no Key Switches, Legato Mode (Glissando vs Expressive), Vibrato Depth, Vibrato Rate, Portamento Time, Harmonic Structure, Sub-Harmonics, Growl, Flutter Tongue, Formant, Breath Noise, Key Noise, Dynamic Pitch, OverBlow, Microtuning, Main Volume, Pan Pot, Reverb Mix. 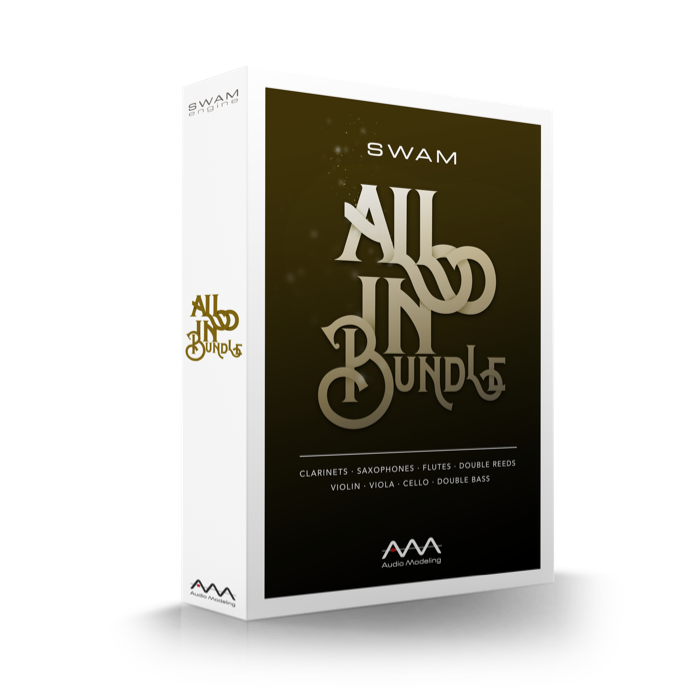 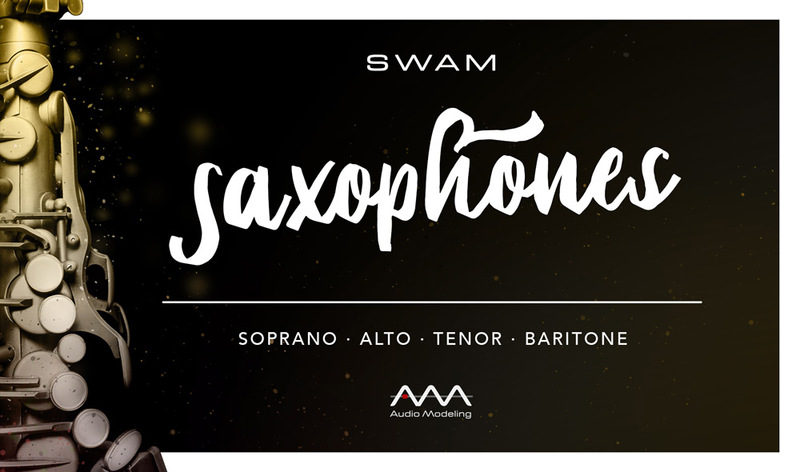 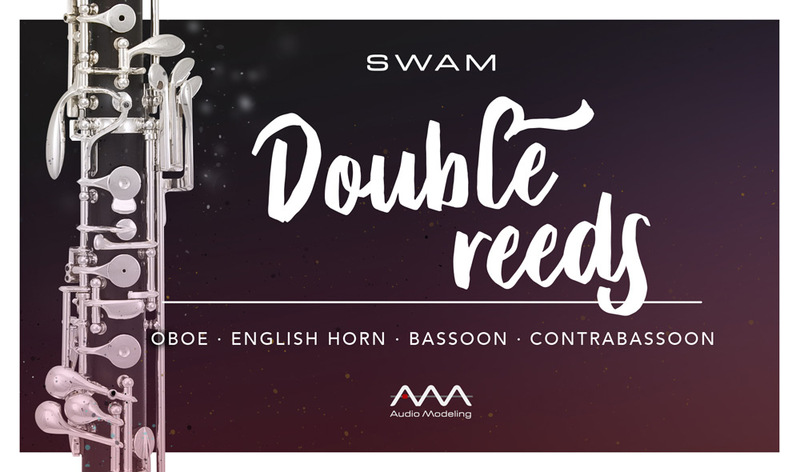 You won’t need any Giga-sized pre-recorded libraries, because SWAM Saxophones is not a recording of notes via sample libraries, but a set of real virtual instruments based on traditional saxophones.